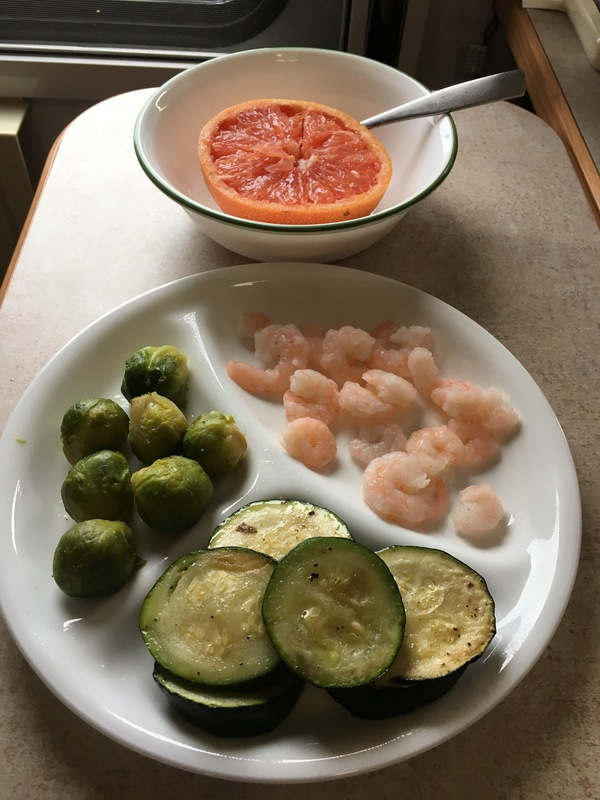 When in early 2016 I began a daily exercise practice, I wasn’t sure how long I could stick with it and I certainly didn’t anticipate I would be writing a health blog six months later. Nevertheless, I’ve now known for more than a year that I wanted to find a way – or ways – to help people to be their healthiest selves. At first I considered becoming a personal trainer or getting certification to teach a style or brand of exercise that I loved. I still would love to do that someday, but after a lot of research I decided that wasn’t currently the best use of my money and time. 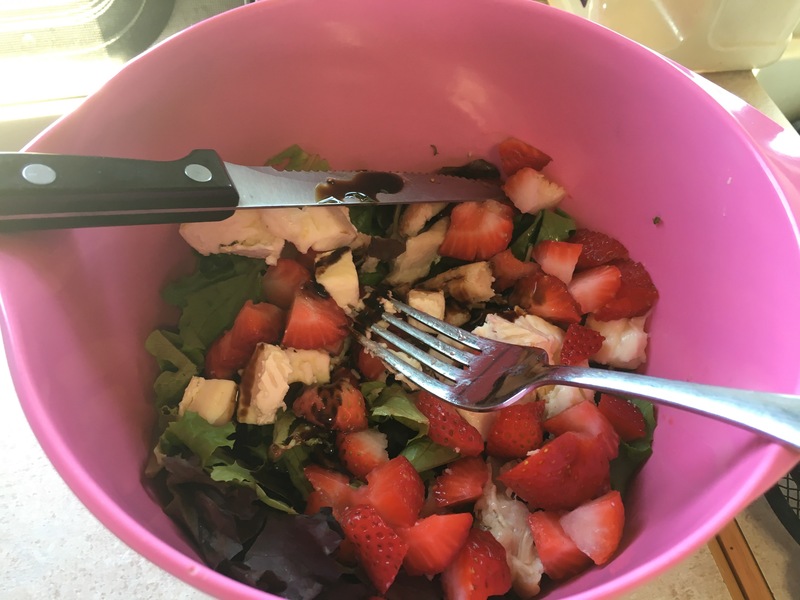 Given my work following the auto-immune protocol, I started this blog to document my health journey as well as the progress I made even earlier through exercise and a mindful approach to my health. I’ve considered becoming a health coach someday as well. But currently, I’m at a bit of a crossroads. In my life, I love to do a variety of things. I’m self-employed with a variety of work. I love the arts, food, the environment and improving the lives of the people I care about. I love to write and edit and to help people get organized. And I would love to make more money doing these things. So how do you monetize a health blog where your focus is on making common sense choices, developing habits and on learning to know your body? Besides gaining a following and having advertisements, it seems like my best path would be to create a “system” with resources for people to follow or a book to read. And I’m not there yet, and I’m not currently sure if/when I’d be the best person to do that. So one of the choices I’ve been considering for many months is to become affiliated with a health company and market their products. M2M companies aren’t my favorite thing, but it would give me a clear path to income IF they had products I could stand behind. I’ve been courted by at least four companies in the last year, and I’m leaning toward one of them, because I can see a clear path where I can test some of their products on my diet and because although they offer a “shake”, their overall approach to fitness can be made to align (perfectly, I think) with mine. But I wonder how I will be judged if I make this leap. I know people have enjoyed reading about my health journey, and I will continue to share it. I would just have additional offerings for those who are interested. And maybe I could find a way to “coach” people who don’t need the products too, if they cared to listen? I’d love your thoughts. This had been on my mind for months and I’m trying to decide if I’m ready to make the leap! I won’t lie. This has been a tough week. And what’s depressing is that much of it was brought on by me and my own choices. Last week I began egg yolk reintroductions. 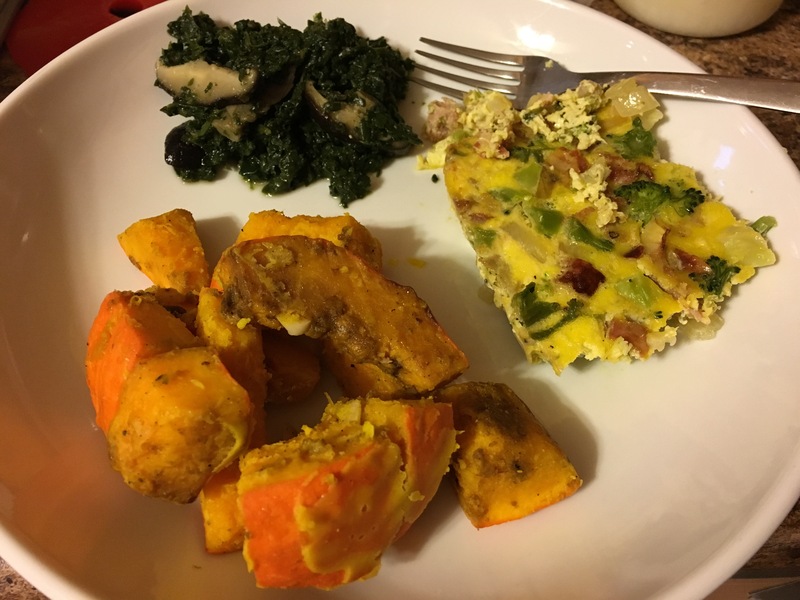 I hadn’t had eggs since I began the Whole30 Auto-Immune Protocol in July, so it had really been a long time – about 3.5 months. I bought the fanciest local eggs I could find for almost $7 to make sure I wouldn’t react to grains or chemicals in them. My husband Ross made me hollandaise sauce to enjoy over brussel sprouts. All is tasty, no negative reaction that I can discern. 72 hours later all is still happy – my lingering sinus infection is still hanging on a bit but nothing else. So I make a quiche-like dish for the week. 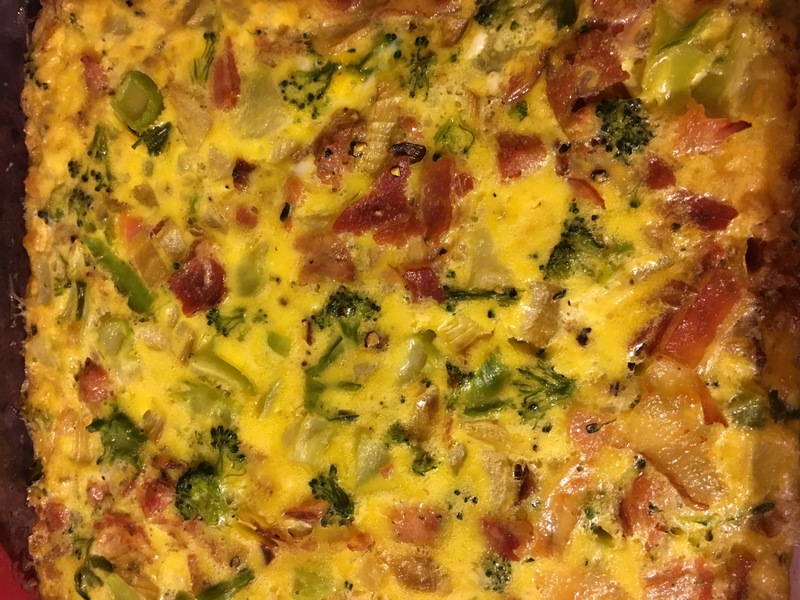 9 egg yolks, broccoli, chicken sausage, bacon. It’s ridiculously tasty and I realize how much I have missed eggs. I’ve been eating this deliciousness every night with dinner. By day 4, I was dealing with worsening symptoms that it seemed might be dietary. Foggy head, some occasional knee pain, and I was getting tired earlier than usual. Day 5 was worse and overall aches were becoming an issue too. By Day 6, yesterday, I had to admit that egg yolks, at least daily, aren’t agreeing with me. Now, this doesn’t have to be a life sentence. First of all, I still have a touch of a sinus infection. Until that’s gone, my body is working a bit harder than it likes to. So maybe my healthiest body could handle eggs a bit better. Also, I am free to reintroduce them again in three months. And finally, I actually tolerated them well initially and then for a few days. So having eggs once or even twice a week is probably a fine treat for me. It just can’t be a daily thing. But despite knowing all of this, I can’t help but feel a little depressed this week. I know I’ve reacted really badly to gluten. Now I’m learning eggs are at least somewhat problematic. (Not to mention egg whites…will those be worse? I really, truly hope not.) I feel myself mourning for all of the amazing foods I can’t eat anymore, and mourning the dishes I love to cook that I may never eat again. I’m mourning all of the fantastic restaurants I haven’t visited and may never want to now, knowing the compromises I’d have to make or what it would do to my body. And I’m fearful about the other allergies I haven’t tested yet. Like nightshade vegetables, including peppers and my beloved tomatoes. And dairy. Can I ever have dairy again? You’re reading the words of a woman who is obsessed with dessert, who has an ice cream blog and who loves to bake and to eat bread. My world has shifted and my options may continue to narrow, and I’m scared and angry, frankly. I know there is much more to life than this. But life without fancy ice cream or real Mexican food would be so much less appealing. I’ve also become frustrated to realize that during a more stressful week like this one, my gut instinct is still to overeat and emotionally eat. I want to eat too much squash or sweet potato, even though I know I won’t feel well later. I want to eat all of the sweet things I can find in ridiculous quantities. Do I control myself in the face of temptation? Yes. But the fact that I have to resist overeating at every meal makes me sad. I want to be someone who just eats well to live and occasionally indulges in a treat. I love feeling healthy and thin. But recognizing that the dessert demon isn’t going away is unfortunately a truth I need to acknowledge. I hoped I could break the habit during my Whole30 (really a Whole60) but it didn’t work. I hate to end on a depressed note, so I won’t. The good news is there is still plenty I can control. I’m enjoying beautiful sunny days with walks outdoors and time to exercise with weights too. I’m getting plenty of rest and enjoying good for me treats. I bought peppermint creamed honey which is extremely satisfying and reminds me of fudge when I put it on coconut milk ice cream. And my relationships with my husband, friends and family are going well. I love my life. And I know that with persistence, I can keep making it better, even if it can never be what it once was. Thanks for reading and stay strong! I love to go out to eat. I enjoy indulging in foods I didn’t have to cook myself or perhaps wouldn’t know how or want to bother cooking. I enjoy conversation over a good meal. And I enjoy the opportunity to try new things. Since I began following the auto-immune protocol, going out to eat has basically been off the table for me. For one reason, it’s really inconvenient. 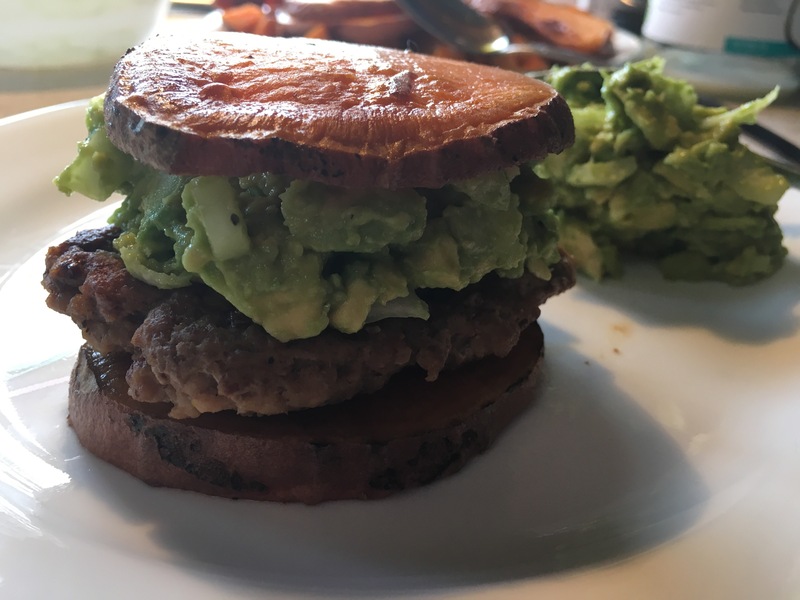 Although there is fast food out there that I can eat, it involves so much research and is so restrictive that it generally seems like even if I CAN eat there, it’s not worth the hassle. For another, eating out is expensive. I don’t mind paying well for a good meal, but if you can only eat half of what you’re paying for and are limited to one or two dishes, is it really worth the expense? And finally, after two months of Whole30 AIP, I am working on reintroductions. Because restaurants bring an extra element of risk to the table, combining reintroductions with dining out isn’t recommended. Nevertheless, I have wanted to eat out, at least occasionally. There’s a sense of normalcy to being able to go to a restaurant and order off a menu. And socially, it’s just fun! 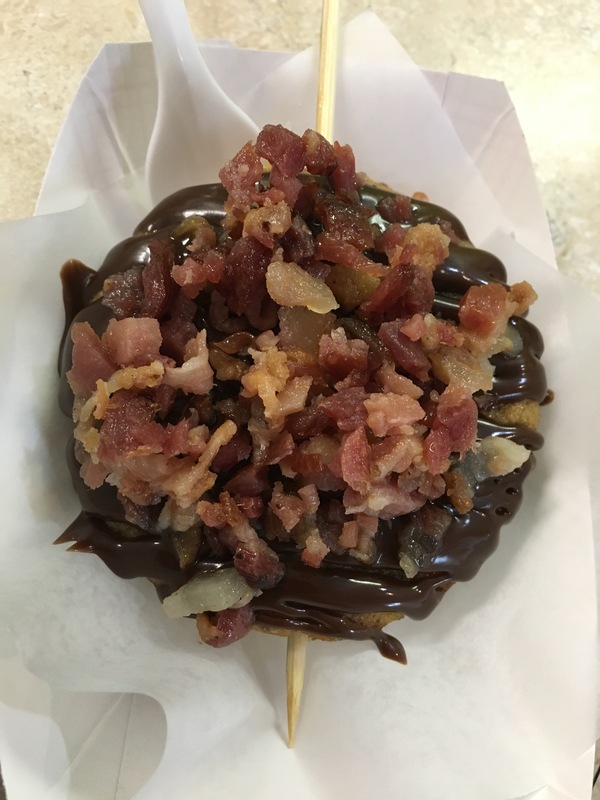 So, here are the four places I have eaten out recently and how I approached them. I’m happy to say they were all really successful. (I also tried a decaf coffee one night at McDonald’s and quickly realized that made my body miserable. Oops. It’s a question mark for AIP.) I suggest you always call first to talk to the kitchen about your allergies and needs, and I suggest erring on the side of caution with any unknown ingredients. As always, tip well! I ate at Amphora early in my Whole30 (really a Whole60). I adore this restaurant and their chef, and he insisted on calling me to talk about my options for eating there. 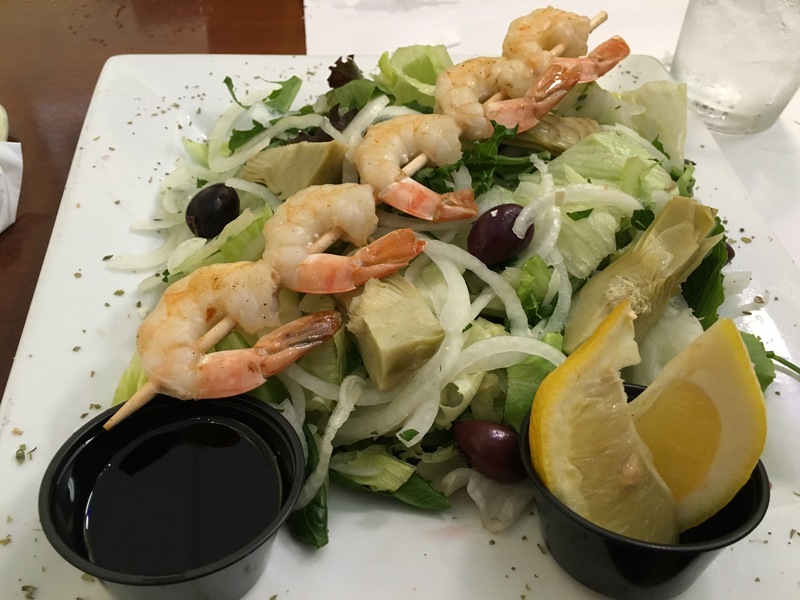 Ultimately I went with one of their delicious salads and added grilled shrimp. He told me anything on the grill that wasn’t marinated would work. I had to leave off the stuffed grape leaves, tomatoes, feta, pita and banana peppers of course and replace the dressing with olive oil. This left me with green lettuce, artichokes, kalamata olives, onions and shrimp. Not the most exciting meal ever (and I was hungry a little before the 4 hour mark) but it was nice to have a tasty meal with my family at one of my favorite places. Next time I might be brave and try the lamb. This would have been the hardest one for me if I didn’t psych myself up for amazing company and come prepared to just munch on fruit and eat when I left. 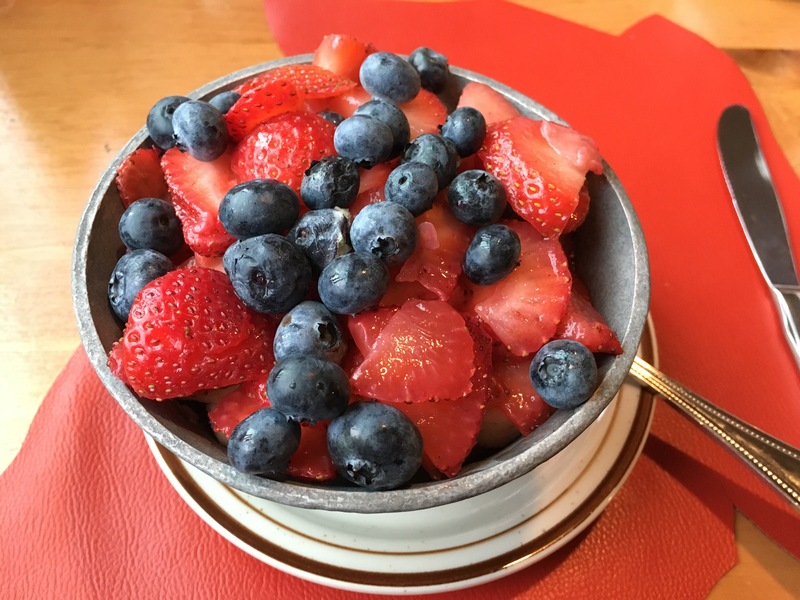 In reality, it took a lot of discussion with the server (and the kitchen had to redo my burger when they accidentally put cheese on it) but I had a tasty, if very expensive, breakfast with plenty of leftover fruit. Normally my order at Polly’s involves three types of pancakes with mixins and lots of syrup and maple cream. Occasionally an egg on the side. 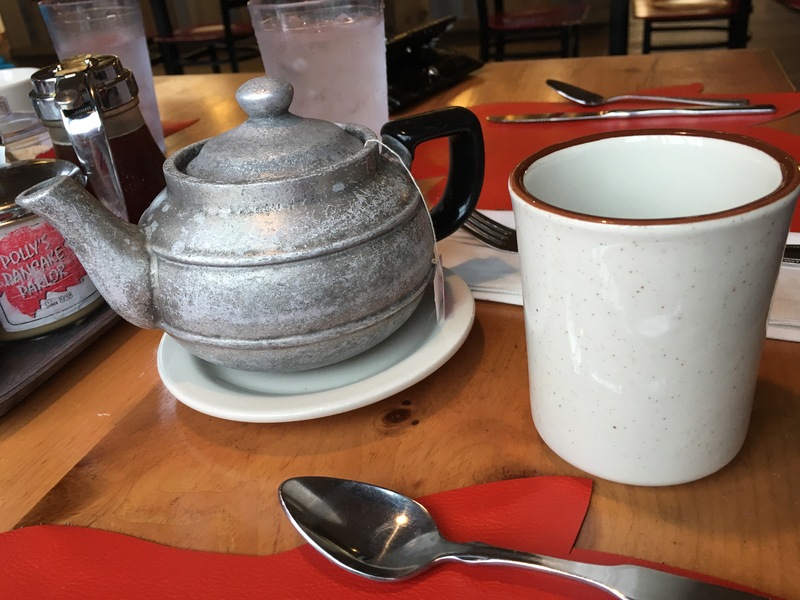 This time, I began by ordering herbal tea. 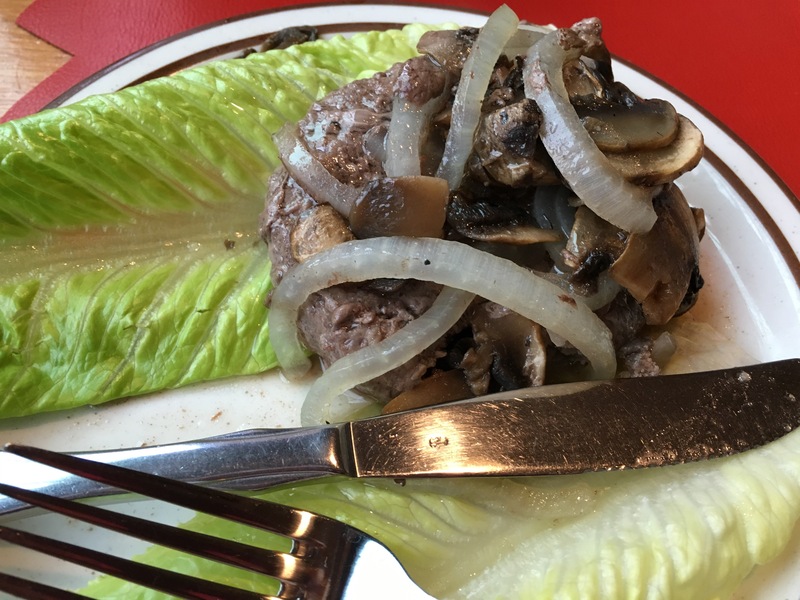 I also got a burger on lettuce with onions and mushrooms cooked in olive oil. They threw in a couple of carrots too. They offered pickles but I was afraid they might have sugar or spices I couldn’t eat. My fruit was expensive at $5.95 before tax but it came out in a goblet and I ended up getting three servings out of it! Fresh strawberries, blueberries and bananas, so delicious. Now that I’ve reintroduced maple I could have more fun here, but it was very doable even without it. I went here with my family and knew we’d be paying a lot, but I was eager to try some seafood and the kitchen had lots of options that would work for me. I ended up going with a 1 lb. 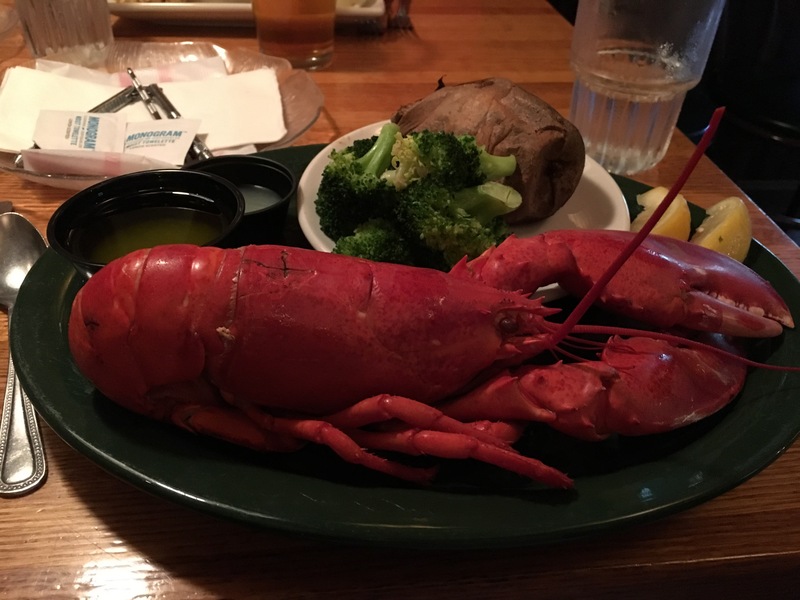 lobster! 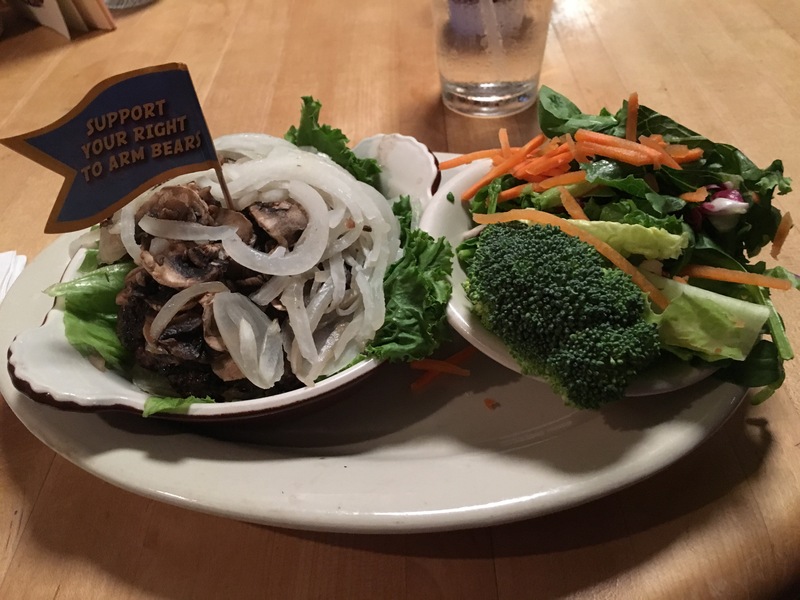 They offered steamed broccoli as a substitute for the veggie of the day and I was amazed to see a baked sweet potato on the menu. They also made me an olive oil and lemon mix for the lobster but I really didn’t need it. Last weekend, my husband and I were in the Portland, ME area getting our culture fix. Since my brother lives in the area, we made plans to meet him and his girlfriend for dinner. She recommended Great Lost Bear, a tavern known for accommodating all types of diets. After reading the menu and talking to them, I knew I could get a burger, so it worked for me. The burger comes with a side salad. They have lots of fun burger toppings, and I could get grilled onions and mushrooms on mine, which I loved. Unfortunately their guacamole has sour cream and Tabasco sauce (thank goodness I asked for the ingredients!) and they couldn’t do just avocado, but their side salad was also decent and I was able to get carrot, onion and broccoli on mine with oil and vinegar on the side. The burger was presented well on lettuce too. I was super-jealous of the pulled pork nachos at our table, but I had a very filling meal. As usual, I brought date rolls and dried banana to eat as a treat afterwards. Eating out is challenging right now, but it’s so satisfying to feel great after I leave and to enjoy the company of family and friends over a meal. I’m aware there is always a little extra risk dining out instead of cooking myself, but I’ve had great luck so far by calling and planning ahead. Thanks for reading, and good luck in your own dining adventures!